THANK YOU! We are very happy that so many of you have followed our Creative Invite. We are just blown away by all the creative and inspiring submissions. We received all kinds of ideas from you and all of them have let our Lindt Gold Bunny shine in a new springful mood. It was very hard for our jury to decide on the winners of this brief. Thank you to all of you and congratulations to the Selected Artists! Since 1952 the Lindt Gold Bunny has been sweetening Easter in more than 60 countries and has become an indispensable part of Easter celebrations. It is known for its golden exterior, with a red bow and a small bell, which hides the delicate chocolate interior. The Gold Bunny is gladly given away as a present or used for decoration purposes. 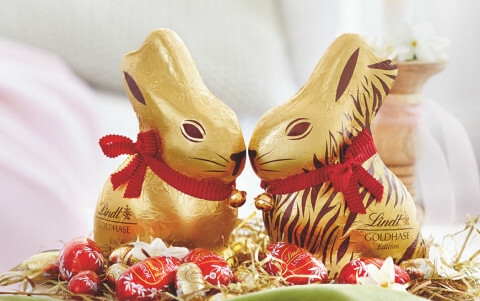 For some short time, Lindt has created limited editions of the Gold Bunny. Now it is your turn to design the next one. Lindt invites artists from all over the world to design the next limited edition of the iconic Gold Bunny. The design should be related to the time around spring, but not picking up the classic Easter tradition. Before you start, please read the section "Do's & Don'ts" carefully and be inspired by the mood board. From all submissions, Lindt will select three designs, each receiving €2,000. For Easter 2019 Lindt is planning a public vote on their social media channels. The design with the most votes gets the chance to be produced and to be traded in 2020. Please use the provided templates (front and back side) for your final submission. Only the red marked areas in the templates can be designed. The design is intended to reflect spring and/or the associated "awakening of life" in both nature and wildlife. While the traditional Gold Bunny primarily addresses an older target group and families, the Limited Edition is intended to appeal to a younger target group, such as young couples or singles who like the Gold Bunny also for decoration purposes. You are encouraged to look at and be inspired by the mood board. Easter/spring colors such as yellow, fresh green, red and blue combined with intense colors such as violet, pink or orange should be used to create a clear contrast to the golden background. Line weights should be at least 0.2 mm. Tonal values ​​and gradients in the design should not run out to 0%, a minimum value of 5% must be maintained. If fonts or texts are used, please only use German (all other languages ​​will be translated accordingly into German). Please use the "Say something about your submission" option to tell Lindt about the background and idea behind the submitted design. The new design should be clearly differentiated from the Flower Edition 2018 and Animal Print Edition. The previous designs can be downloaded here. The gold foil is mandatory. The gold color cannot be changed. The red bow with the bell can not be changed in position or color. Do not use matt-gloss effects. Do not use glitter effects, as they are not reproducible on the foil. Avoid use of non-printable elements such as applications, rhinestones, rivets, stickers, etc. Do not show people or faces (neither photo nor drawings). Do not use explicit religious symbols such as crosses or churches. Please avoid regional specific conventions that are not known outside the region. Do not create pure black and white and/or gray designs. Do not include sexist, racist, pornographic, political, discriminatory, religious, violent or offensive content in image and/or writing. Do not use imagery or fonts protected by or clearly referring to other trademarks/brands. Lindt & Sprüngli is a world leader in premium chocolate and can look back on a tradition of almost 175 years, which began in Zurich, Switzerland. Quality chocolates from Lindt & Sprüngli are today produced in 12 production sites in Europe and the USA. They are distributed by 26 subsidiaries and branches, in more than 410 stores, as well as through a network of over 100 independent distributors around the world. 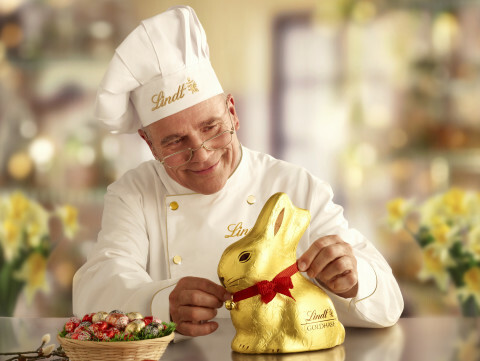 The Gold Bunny of Lindt is well-known in many countries worldwide, not just among children, but people of all ages. Its distinctive markings are the golden foil and the small bell on the red bow. Before the Maîtres Chocolatiers put the bell to the Gold Bunny, they smooth out the foil by hand, giving it its typical golden shine. This attention to detail characterizes his cult status, which has not lost its fascination until today. 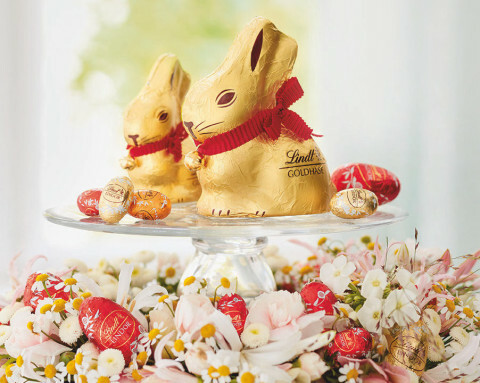 From Europe, the USA and South America to Russia and China: With more than 145 million Gold Bunnies sold in more than 60 countries last year, the Lindt Gold Bunny enjoys global popularity. Potential exposure on the marketing channels of Lindt. 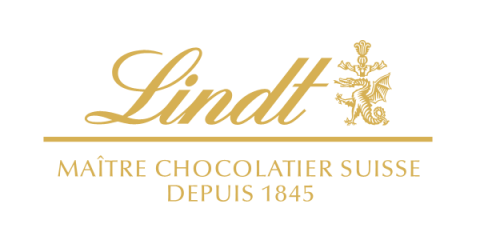 Participation in a public vote on the social media channels of Lindt and the potential chance that their design will be produced and distributed in retail stores in 2020. This opportunity is open globally to those who are at least 18 years of age or the age of majority in their jurisdiction of primary residence at the time of submission. Void where prohibited by law. Each submission should consist of two (2) fully executed designs, one (1) for the front, one (1) for the back side, of the limited Edition for the Lindt Gold Bunny by using the provided templates. Please note that all rights in the material provided (logos, template, etc.) are reserved by Lindt. Each submission should be accompanied by a small written caption in English explaining the inspiration and design. This information should be included in the 'description' field of your submission. Artwork must be 100% original (meaning not using third party pre-existing copyright materials or stock imagery). Artists should retain their original artwork files in the highest quality possible but designs must be submitted in JPEG or PNG, max size 10MB. No photography please. Please read the "Do's and Don'ts" above carefully. Artists that are not selected will not give up any rights to the original portions of their work, however Lindt has the rights to promote their work on their channels in connection with this Creative Invite for three (3) months after the Selected Artists are announced. All artists will be credited accordingly. The Selected Artists will have to sign an Artist Agreement assigning all rights, title and interest in and to the selected work to Lindt for global usage. The selected design can still be used for artist's own portfolio purposes with credit given to Lindt as the source. The selected designs may be modified in collaboration with the Selected Artists to accommodate production requirements. Lindt will select from all qualified submissions. A qualified submission is one which meets all the Terms & Conditions, Guidelines, selection criteria (as listed in the Do's & Don'ts) and Official Rules.